Whole Foods continues to impress us with their willingness to support our local brands. Last Thursday, we coordinated and helped host the Whole Foods team in Atlanta as they visited another one of our brands, Pure Bliss Organics. 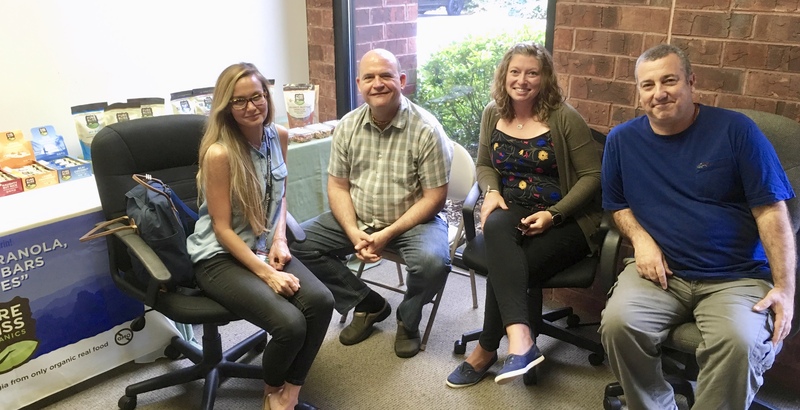 They had the opportunity to tour the Pure Bliss Organics production facility in Marietta, GA, spend time learning about the brand from founders Jon Morgan and Antonio Da Costa, as well as try some of its current and upcoming products. We are grateful to the team at Whole Foods for spending time to meet with Pure Bliss and to Jon and Antonio for helping Jay host them. 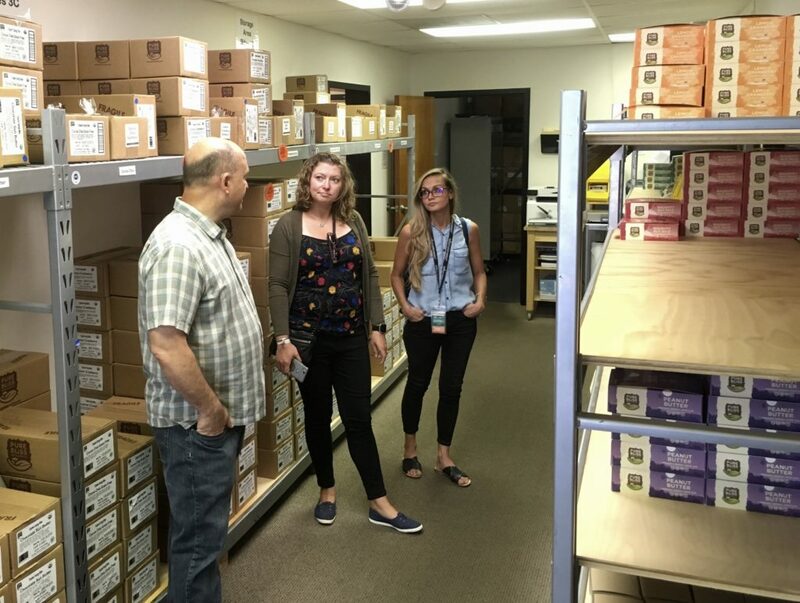 Jon Morgan, co-founder of Pure Bliss, tours with Kristin, Local Purchasing Coordinator and Brianna, Grocery Associate Coordinator of Purchasing from the Whole Foods Market South team at his production facility in Atlanta. In 2005, inspired by their desire to make a difference for the planet and people’s well-being, Jon and Antonio set out to create delicious organic foods that nourish the mind, body and spirit. 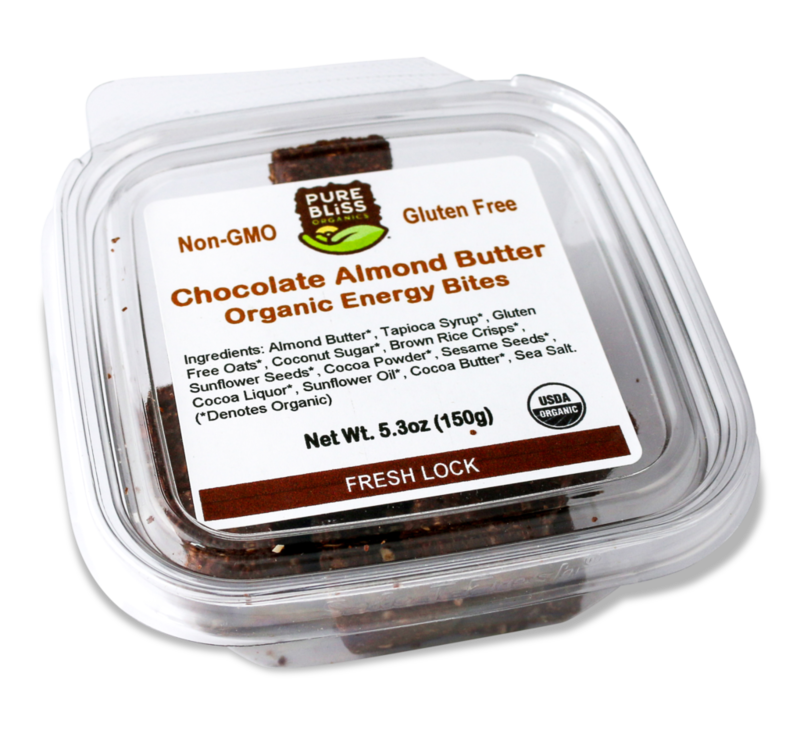 Today, their entire line is gluten free and certified organic and includes energy bars and “bites”, granola, and gourmet nuts. They are sold in bulk for bulk departments and food service and branded packaging for grocery. We’re not saying to hug your whole grains, but we use clean, certified organic ingredients that were farmed in a sustainable way. Our products are all organic, non-GMO, and chemical free so all you are enjoying is real food handmade by us. Pure Bliss Organics recently came out with new clamshell packaging for their energy bites and nuts. Their products are baked in-house at their facility. They only use first class organic ingredients and artisan processes like making their own nut butters in order to produce the most satisfying flavors. They are lifelong “foodies” and make products that they enjoy eating with very minimal processing, eating as nature intended! From energy bars and bites to granola and nuts, Pure Bliss has plenty of options for the health-conscious customer or family. Our aim is to nourish everyone with delicious organic food and to increase the bliss in the world. Pure Bliss is found at Whole Foods, Kroger, Sprouts, Hyatt Regency, Life University, Ozark Natural Foods, Mama Jean’s Natural Market, and Sevananda Natural Foods Market as well as countless stores across the country. For more information about carrying their products in your store, please contact Jay Johnson at jay@ambactusgroup.com. For more information about Pure Bliss Organics, please visit their website at: https://pureblissorganics.myshopify.com/. For more information about Whole Foods, please visit their website at: https://www.wholefoodsmarket.com/.